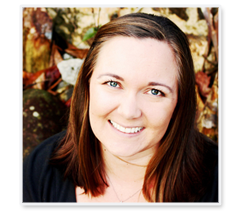 Have I ever mentioned my perfectionist tendencies here on the blog? Even if I haven't, maybe you've noticed, or you know me well enough to know that I can't do anything half-assed or half-way. Honestly, I usually won't even start something unless I think that I'm going to do well at it. I've thought about sitting down to write about a dozen times in the last month, but I just haven't made it happen. Probably because I know that I simply won't have time to make the post awesome. I've gotten quite a few sweet emails and encouraging tweets from blog friends who say that they just want to hear from me. You guys make my day. 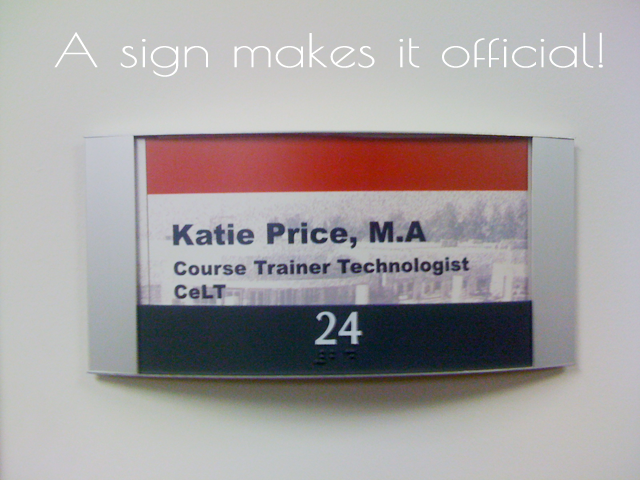 So, here I am :) Life lately has been a whirlwind. It's hard to believe that I've been back in the states for over two months and working for 6 weeks. I'm so lucky to be working at a job I LIKE! 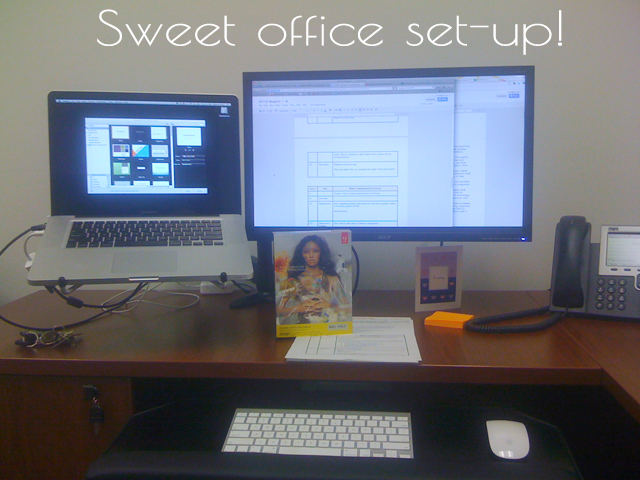 Isn't my office set-up ridiculous? The photos are kinda crummy, but you get the idea. My work laptop is essentially floating above the desk! And having that extra monitor space is amazing. It's been a big adjustment getting used to working fulltime again, after two years of not. I completely forgot how working sort of takes over your week days. 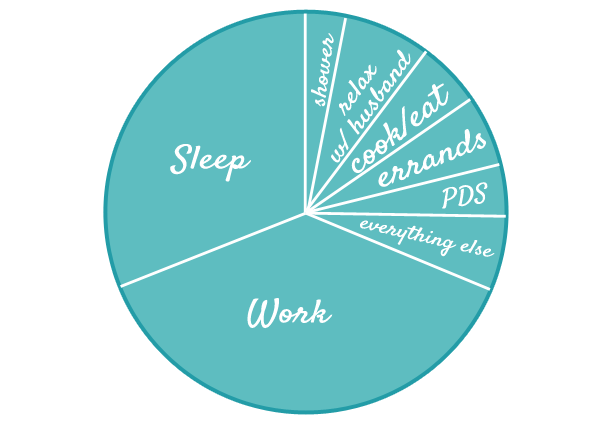 In fact, I made you a little pie chart of a typical work day. That "everything else" little chunk is where blogging goes. And if I can't make that piece any larger then I've decided that I need to lower my expectations of what a perfect post looks like here at Priceless Adventure. The truth is that writing is good for my soul, and if that means shorter 30 minute posts then that is what I need to do. Thanks for sticking with me while I figure this whole thing out! Any tips on managing a full-time job + blogging?